Raptors Lacrosse plays with the Arapahoe Youth League (AYL) and teams are formed by grades. All players will need a new uniform. 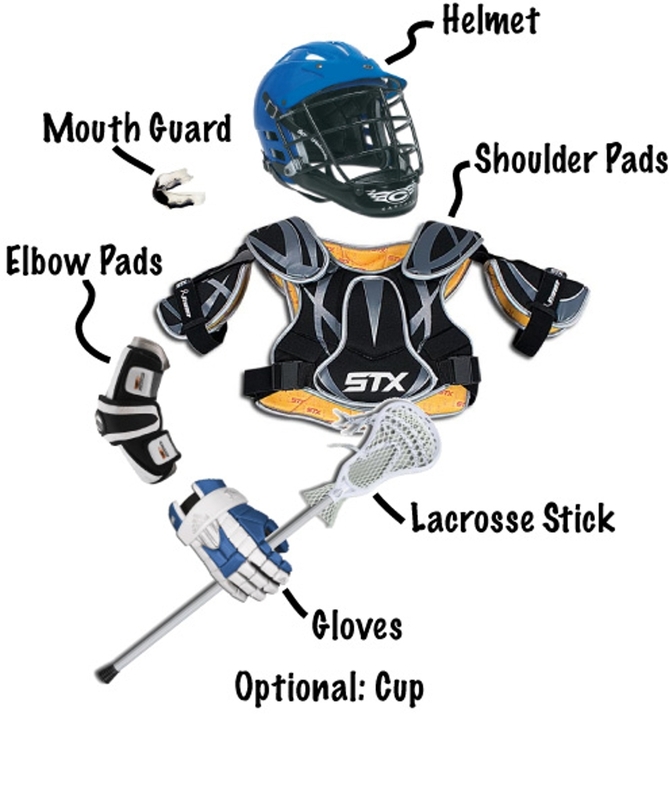 The uniform costs $80 and consists of a reversible jersey, shooters shirt, shorts and socks. Uniforms are ordered at the time of registration. Look for information on sizing events listed on our home page. Custom Raptors helmets and wraps will be available at a later date. Outdoor practices begin the in early March weather permitting and will be held at field locations in Castle Rock, Castle Pines and Sedalia. The defenseman's responsibility is to defend the goal. The defenseman generally restricts his play to the defensive end of the field. A good defenseman should be able to react quickly in game situations. Agility and aggressiveness are necessary, but great stick work is more essential to attack. Each team has three defenseman on the field. The goalie's responsibility is to protect the goal and stop the opposing team from scoring. A good goalie also leads the defense by reading the situation and directing the defenseman to react. A good goalie should have excellent hand/eye coordination and a strong voice. Quickness, agility, confidence and the ability to concentrate are also essential. Each team has one goalie in the goal during play.